An alarm panel is only useful if it is receiving power. This power is often supplied from a battery. These portable power devices will keep your equipment reliably running so that your home or business is always protected. We offer batteries in all sizes for all sorts of devices. Buy batteries here. Both security systems and wireless alarm sensors use batteries. However, wireless sensors use battery power as their primary power source, while alarm panels usually switch to their battery for backup power. And just as security systems come in all sorts of shapes and sizes, so do batteries. Needless to say, there are many types of batteries available. The most recognizable are those used with wireless security sensors. The most common types of batteries that a user will likely encounter include cylindrical batteries and coin batteries. Cylindrical batteries are shaped like a log. Coin batteries are flat and round, just like a coin. But it isn't enough to just have cylindrical and coin batteries. These two types are further split into specific categories. Some popular cylindrical batteries include AA batteries, AAA batteries and CR123A batteries. Some coin batteries include CR2025 batteries and CR2032 batteries. All types have certain advantages that make them ideal for various types of applications. And all of the aforementioned types are relatively popular and likely to be encountered by DIYers. However, alarm control panels usually don't use the disposable cylindrical and coin batteries. Instead, they use rechargeable battery packs. These batteries have a plug-in cord that connects with the panel's circuit board. When the system is running on electrical power, the battery will be slowly storing energy. That way, when the power goes out, the battery will be ready to perform its duty. 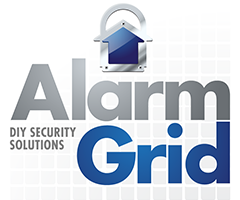 Each alarm system uses a specific type of plug-in battery, so make sure the one you obtain is compatible with your panel. We should also mention the infamous lithium versus alkaline debate. Simply put, we recommend lithium batteries because they last much longer and are much more reliable. Although there may be a slightly higher upfront cost with lithium batteries, they will eventually pay for themselves by providing a substantially longer power life. How Often Should Alarm Panel Batteries be Replaced?